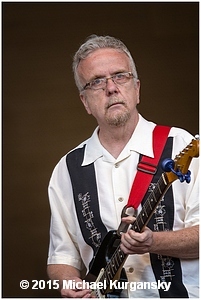 Terry Mullins has our feature interview with Rick Kreher. Our Video Of The Week is Jonny Lang. 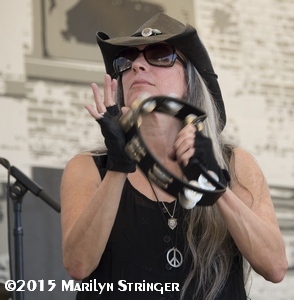 Marilyn Stringer has photos and commentary from the Portland Waterfront Blues Festival. 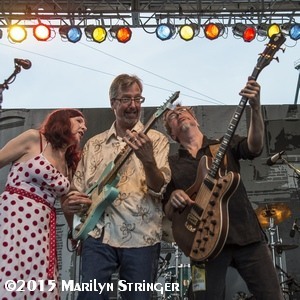 We have 7 music reviews for you including reviews of music by Jericho Road Show, Blues Rebels, The Majestic Jaywalkers, Bloodest Saxophone featuring Jewel Brown, Jimbo Mathus, Guitar Bo’ and Fried Okra Band. 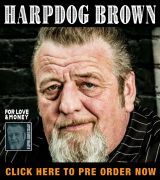 Do you really know your Blues and enjoy writing about it? Blues Blast Magazine is looking for a few good writers to help us out. We need writers with journalism experience who know Blues and can complete one interview or story each week. 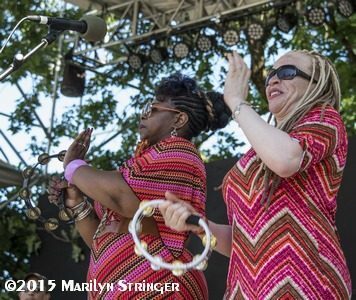 We can provide access to the artists for interview, media credentials for festival coverage and downloads or physical Blues CDs, DVDs and books. These are paid positions but not considered fulltime position. The assignments are on a contract per story basis. We will assign subjects and stories and also entertain your ideas too. These positions require professional writing/journalism experience. 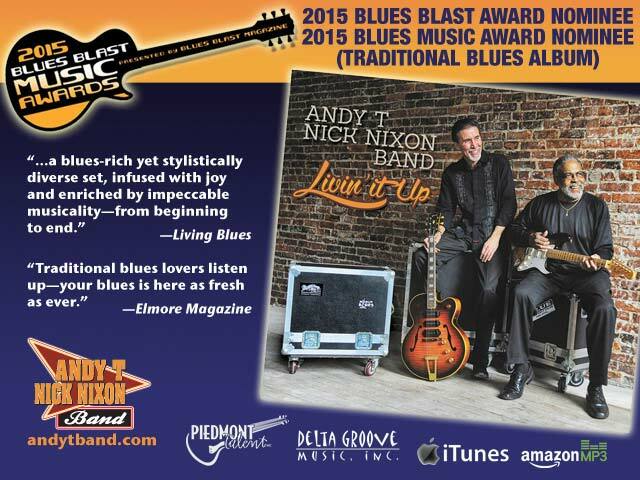 If really loves the Blues and want to spread the Blues word you could be a good candidate! 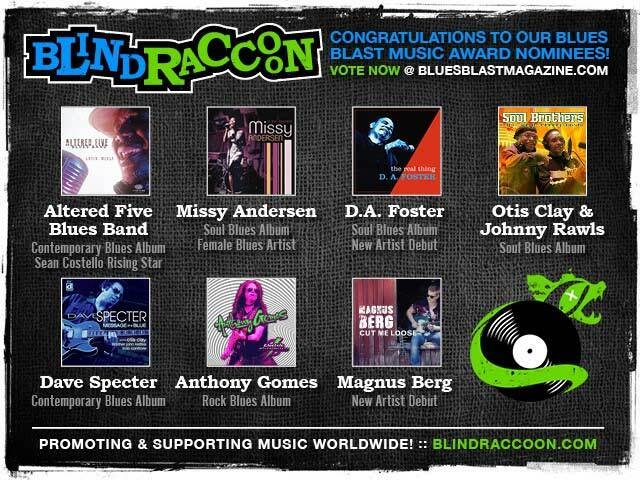 If you are interested, please send an email to info@bluesblastmagazine.com and tell us about your Blues background. Please include your resume and phone number with the email. 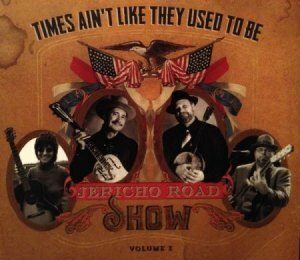 There is plenty of soulful Americana music to be found in Mississippi, and the Jericho Road Show delivers their own take on this unique sound with plenty of gusto in their new CD, Times Ain’t Like They Used to Be. This collection of twelve classic and original tunes is a marvelous sampler of Southern folk and blues that is delivered by some of the best in the business. The Jericho Road Show is sort of a roots and blues super group that was founded by Rambling Steve Gardiner. 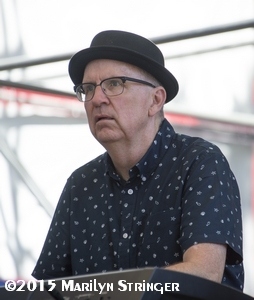 He grew up near Pocahontas, Mississippi, but has called Tokyo his home since 1980, and he has been charged by the US State Department to spread the good news of American music in Japanese schools and universities. 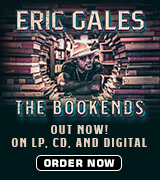 Steve produced this album and the other core members of the crew are Libby Rae Watson (of the Liberaetors and a 2015 IBC finalist), Wes Lee (of Blue Roux), and Bill Steber (of the Jake Leg Stompers and Hoodoo Men). There is more than enough experience to be found here as they are all seasoned professionals, and they have put out over 20 CDs between them. A few of their friends joined in on this recording too, as you will see in a bit. There are a lot of shared roles on this disc, with each member taking turns on lead vocals and guitars. First up, we get to hear Steve Gardner on vocals with the traditional tune, “What’s the Matter with the Mill.” This song is a great example of what you are going to hear throughout the album: it has a live feel, but a crystal clear sound with excellent mixing and production values. Gardner’s vocals are throaty, the backing vocals are enthusiastic, and there is sweet guitar picking and nice harp work on this folk blues tune. Making it just a bit more fun, the bottom end is held down by some cool tuba playing from Brandon Armstrong. There are only a few originals to be found on this disc. 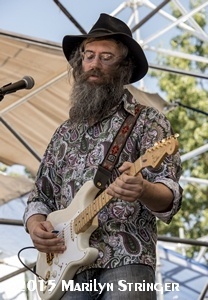 One is “Gray Sky Blues” from Wes Lee and the other is “Shake it Loose” by Bill Steber, who also provided the soulful lead vocals, guitar, and harmonica for this track. Though this song is one of the newest ones on Times Ain’t Like They Used to Be, it fits in well with the rest of the vintage material, and it is very well written. Libby Rae chips in with spot-in vocal harmonies and Leary again provides the percussion with his washboard. After around 40 minutes of pure fun, Wes Lee ends the set with one last traditional, “You Got to Move,” which is chock-full of his marvelous resonator guitar playing and his Clapton-esque vocals. This song is the essence of Southern blues with its bare-bones instrumentation of Delta guitar, vocals, hand percussion, and bass drum. A nice twist is the fresh gospel call and response at the end with the other members of the Jericho Road Show. If you like acoustic roots, blues, and folk music, then you will love what the Jericho Road Show put together for Times Ain’t Like They Used to Be. It has a fun and informal vibe, but still delivers first-rate musicianship, and it would certainly be a worthwhile addition to your collection. 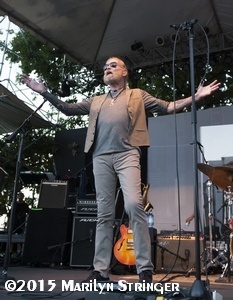 Plus, now is the time to see their live show as the band is touring the United States this summer. So, catch them while you can – they make their homes all over the place, and who knows when they will be able to get together again! They traveled different paths in life and their choice of vocations were polar opposites, but at various points in time, Al Capone and Muddy Waters were two of the most powerful and influential people in the storied city of Chicago. Capone’s reach in the Windy City is well known and shall not be recited here, but as far as Muddy’s benevolent pull was concerned? Guitarist extraordinaire – and one-time member of Muddy’s band – Rick “Junior” Kreher explains just how much power the big man wielded back in the day. No doubt that could never happen in these days and times – first, because of the heightened security and tightened restrictions of the 21st century; and two, because as sad as it is to say, Muddy’s name doesn’t carry the same weight these days as it did back in the early 1980s. 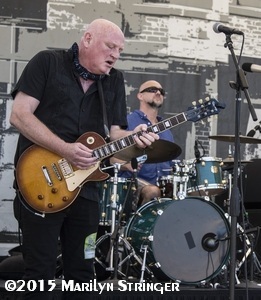 Kreher had been playing the guitar and gigging around Chicago for a long time before hooking up with Muddy in what turned out to be the Rock-N-Roll Hall of Famer’s last real working band, playing with him right up until his death in 1983 (Kreher was a pallbearer at the legend’s funeral service). 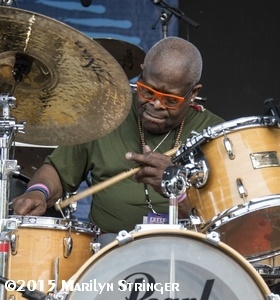 To say that his head was spinning in a thousand different directions upon joining Muddy’s band might be a bit of an understatement. 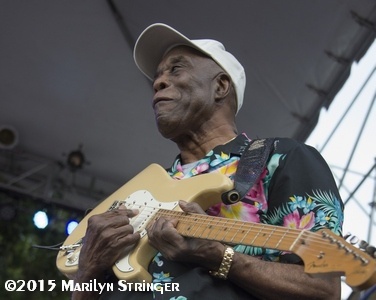 The last couple of years of Muddy’s life were not particularly upbeat ones for the iconic bluesman. There was disputes with former bandmates, the changing musical trends of the early 1980s, plus the battle with the cancer that would ultimately claim his life. 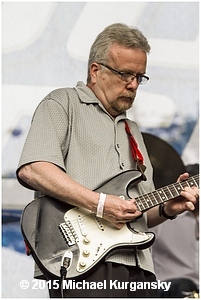 All that turbulence was swirling around when Kreher entered into Muddy’s band as rhythm guitarist. Kreher’s portal into Muddy’s world was through the great Mojo Buford. At the time, Buford was gigging between Chicago and Minneapolis and Kreher was playing guitar for him. Not only was Kreher familiar with Buford, he was also well-versed in all things related to John Primer before the two became Muddy’s newest guitar tandem. He no doubt learned volumes from Muddy, but maybe the most important thing that Kreher took away from his stint playing with him was his sense of professionalism. “He was a pro all the way. He kind of showed that the music is the business and whether you’re the front-man or a side-man, you need to show yourself in the best light you can for every situation,” he said. 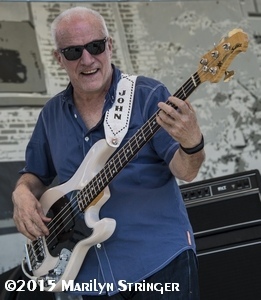 Kreher played with practically everyone who is anyone over the ensuing years, including Little Arthur Duncan, Taildragger, Studebaker John, Willie Buck, Rockin’ Johnny and Muddy’s son – Mud Morganfield – to name-check just a few. Those different artists rightfully all have different personalities and different ideas on the sound they’re looking for, which might make it a bit of a chore for a guitarist to be constantly switching back-and-forth between bandleaders. 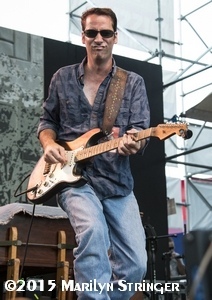 But while they’re all different, Kreher says there is one common thread between the diverse set of bluesmen that he plays with; a common thread that makes his job much easier. The temptation to strike out under his own name has never really gnawed at Kreher. 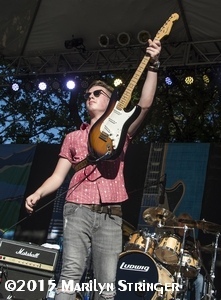 He really does dig being part of a group and not having to lead his own band on a full-time basis. 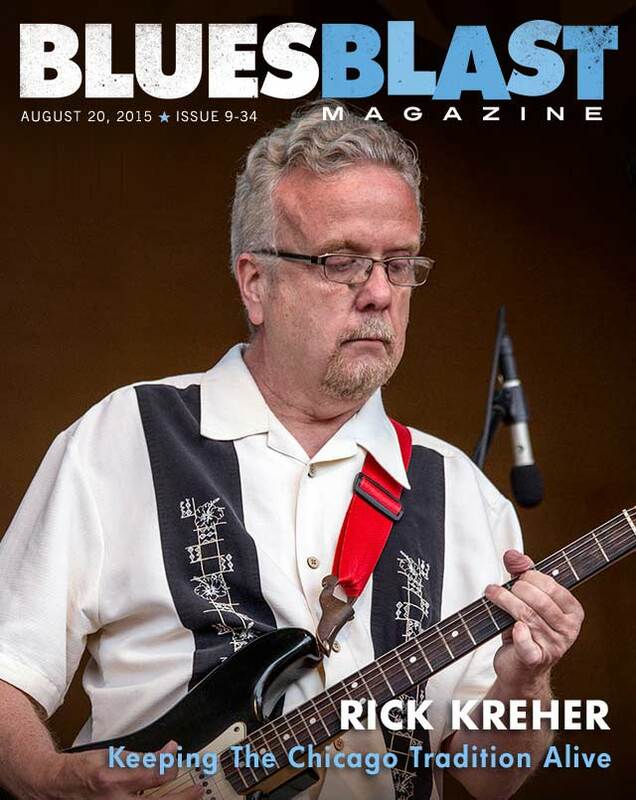 Kreher had an opportunity to help pay tribute to his old bandleader at this summer’s Chicago Blues Festival as a part of the Muddy Waters Centennial Tribute, a musical salute that featured Mud and Big Bill Morganfield, along with Bob Margolin, Bob Stroger, Kenny ‘Beedy Eyes’ Smith, E.G. 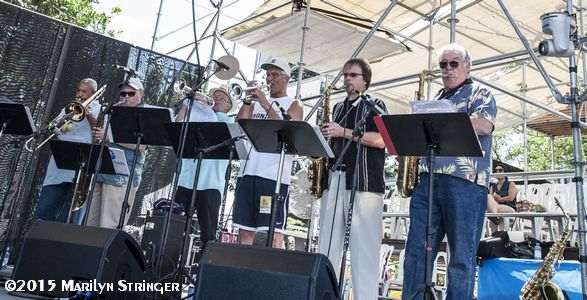 McDaniel, Barrelhouse Chuck, Paul Oscher, Jerry Portnoy and his old running partner in Muddy’s band – John Primer. Any year is most definitely a good time to celebrate and honor Muddy Waters, but the occasion of his 100th birthday is extra-special. Even if it may or may not really be the centennial year of his birth. 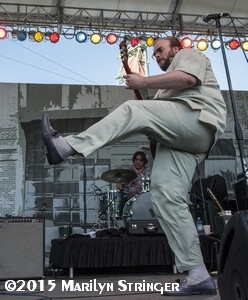 One of the most surreal moments of Kreher’s long and illustrious career of playing the blues has, naturally, a connection to Muddy Waters. It occurred on the evening of Nov. 22, 1981 while The Rolling Stones were in Chicago on their then-current Tattoo You world tour. That’s the evening that The Stones somehow manged to shoe-horn themselves into Buddy Guy’s Checkerboard Lounge and jam with Muddy, Buddy and Lefty Dizz. And what was the first giveaway that the cat had gotten out of the bag? 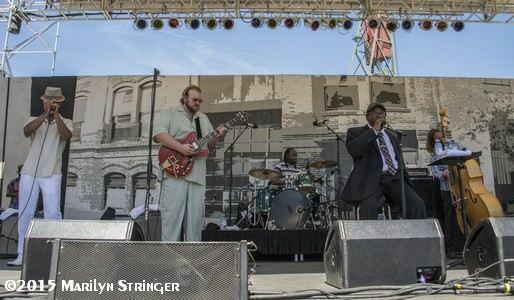 Much like The Stones were (and still are), Kreher has long been a champion of the authentic Chicago blues and as such – and considering his ties with Muddy Waters – it’s no shock that he’s been spending considerable time recording and playing with Mud Morganfield the past few years. 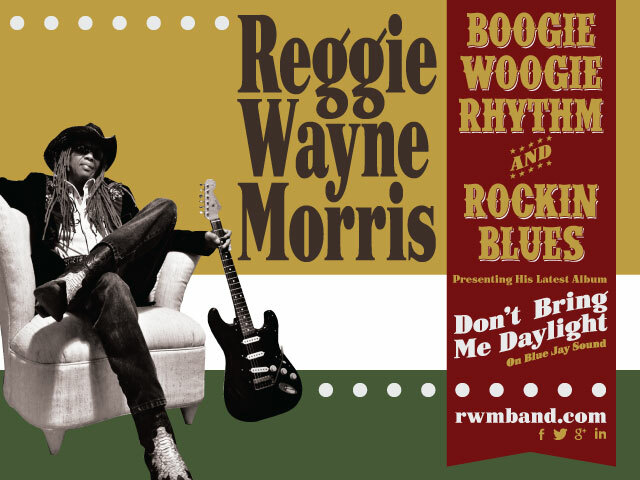 Morganfield has turned quite a few heads and perked up ears of blues lovers everywhere with his take on the music of his father. Sonically and visually, Mud Morganfield is his father personified. 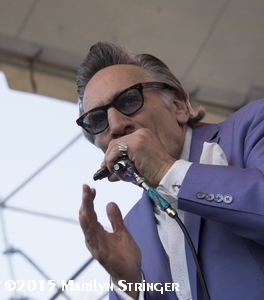 It should be noted that while he does cover a number of his father’s tunes – and he looks and sounds an awful like Muddy – Mud is by no means a karaoke performer stuck in a strictly Muddy Waters vein. 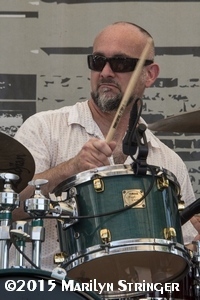 If it seemed like every corner of every town had a band playing on it back in the ’60s, that’s because most of them certainly did … or at least the garages in the houses on those corners of the street did and that scene rubbed off on a young Rick Kreher. Kreher had no shortage of killer guitarists to draw inspiration from back in the 1960s and ’70s, which was a good thing. 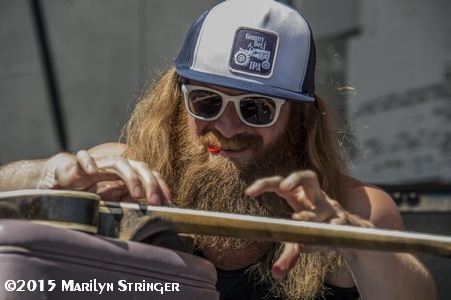 However, that could have been a bad thing once he decided it was time to start playing out in the public – trying to find some space for himself in a city jam-packed with a who’s-who of six string slingers. Turns out, he didn’t make a big deal out of the crowded competition. 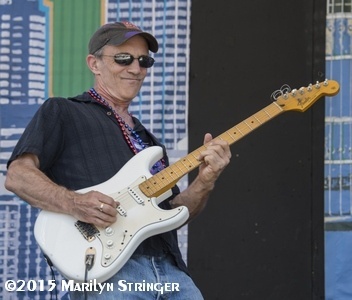 From the first time he heard them, Kreher has been deeply into the blues. 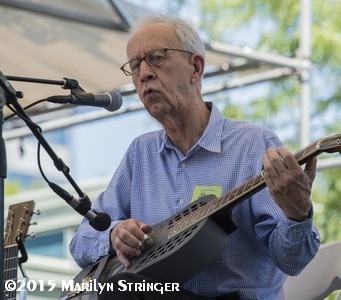 That love for the music as a young man even prompted him to blaze a trail that only a few others besides him were willing to travel – to venues on the south and west sides of the Windy City. Those heady days of club-hopping at blues clubs in Chicago didn’t last forever and Kreher says that the scene in town these days looks vastly different from what it did back then. 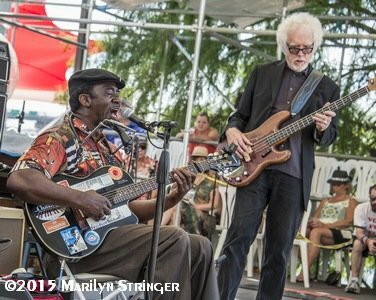 Blues music has managed to stubbornly move at its own pace for centuries now and that has long been a lovely charm of the genre. But with the way society moves today – along with the way that technology has a speed several light years faster than anything else – it sure seems like the speed limit of the blues may be facing its biggest challenge to either move on, or to get ran over. To see a video of the 1981 gig of the Rolling Stones with Muddy at the Checkerboard Lounge CLICK HERE. The previous sentence is definitely true. 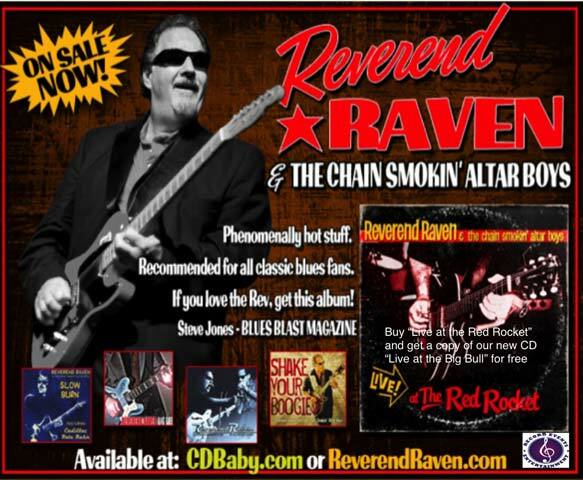 Fans of hard blues-rock and electric blues rock will crave their intense energy and high-octane instrumentation. Those who adhere to traditional blues, however, might be disappointed. Also, Open Road demonstrates the challenges of a debut band and album. Watts’ guitar chords lie in a limited range of low notes – perfect for growling and sounding edgy, but not so impressive on solos. 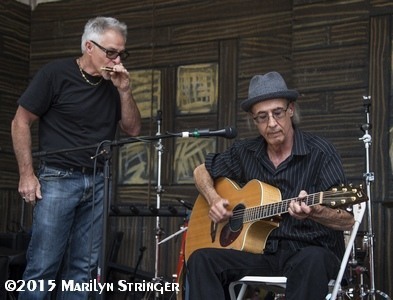 Dov Hammer’s harmonica, however, roars and charges like his first name: “bear” in Hebrew. 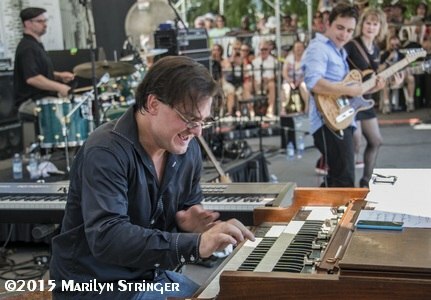 Overall, they might be called a grittier version of Blues Traveler, but Dov’s vocals are reminiscent of Darius Rucker. The good news about this CD is that it’s raw and unpolished, (which might also be the bad news, depending on one’s particular taste). As for their songwriting skills, they would rate a “B” in any Battle of the Bands competition. To their immense credit, they avoid the constant repetition of “baby”, although they could have used more variety in songs such as “Secret Smile” (track ten) and “Trying to Get Paid” (track thirteen). They’re at their best when they’re introspective, as on “Looking In” (track nine). Track 04: “Devil By My Side” – “I was born on the eve of the seventh day. The first song they taught me how to sing was a prayer. They tried to keep me in line, but I would not stay. Well, you know how the road to hell is paved.” Our narrator is racing against time, as we all are, but with a diabolical running partner. This mid-tempo ballad with a saucy harmonica intro and relentless backbeat will get people dancing, whether they’re on the “Stairway to Heaven” or not. Track 07: “Reason to Live” – For a change of pace, optimism shines through on lucky number seven. Nearly every blues band does their own take on a train song, with its quintessential chugga-chugga rhythm included. Dov’s best singing is featured here, keeping his “demons” and dark thoughts at bay. 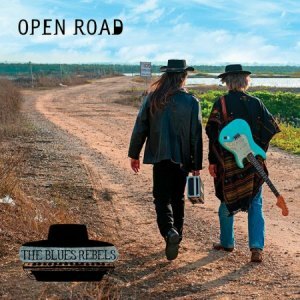 With more exposure at home and abroad, the Blues Rebels will conquer the Open Road! Dynaflow Records is currently doing a wonderful job in getting great artists who have, for various reasons, slipped off the musical radar, back into the recording studio. Following the recent release by Sherwood Fleming, Blues, Blues, Blues (favorably reviewed in Bluesblast issue 9-30, 23 July 2015), now comes a new release from Jewel Brown. 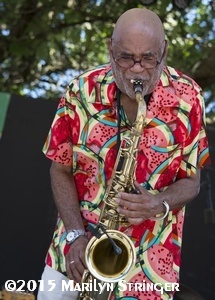 Houston-born Brown has been singing blues and jazz for over 65 years, including a seven year gig with Louis Armstrong and his All Stars. 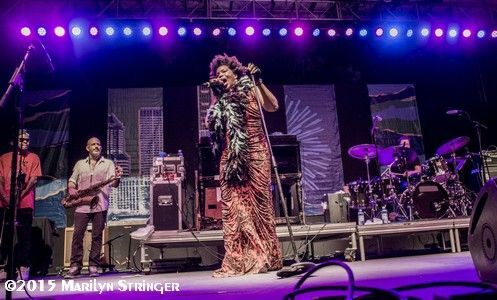 For the last decade of the twentieth century and for most of this century, however, she has been criminally under-recorded, despite stints with the likes of the New Orleans-based Heritage Hall Jazz Band. 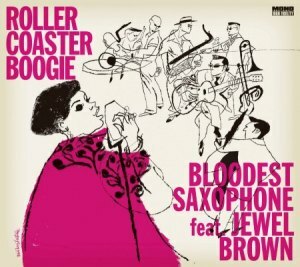 Roller Coaster Boogie was recorded in Japan in 2014, where Brown was able to take advantage of the backing of Bloodest Saxophone, the great Japanese swing band, and it’s a winning combination. Brown’s voice remains a thing of virtuous beauty, as she tackles blues, jazz, R&B and pop and takes them all in her stride. On songs like “Goody Goody”, she conveys a winning combination of wry detachment and naive enthusiasm. Most notable is the suppleness and youthfulness of her voice, which is balanced by a superb technical and rhythmic ability that she never lets overwhelm the song. Equally at home on the madly upbeat “Walk That Walk Daddy-O” (with marvelously over the top sax from Koda Shintaro) or on the languidly romantic jazz of “Don’t Go To Strangers”, Brown is a wonder to listen to. She even has a more than passable crack at “Kaimono Boogie”, originally recorded by Kasagi Shizuko in the 1950s. 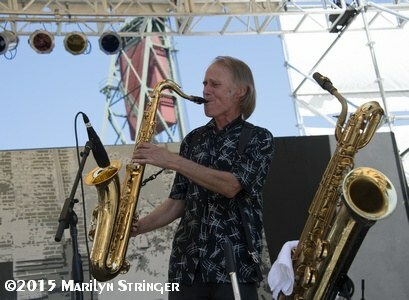 Bloodest Saxophone are a superb, swinging band who must be a joy to sing in front of. On a track like the upbeat blues of “Crazy Mambo” Shuji’s guitar may take the leads, but the first class mix enables the listener to enjoy some lovely, subtle fills from Mikio Ito’s piano as well as the excellent horn arrangements of saxophonists Koda “Young Corn” Shintaro and Osikawa Yukimasa and trombonist Coh. The rhythm section on THE TAKEO on bass and Kiminori on drums (with additional percussion from Kazz) keeps every song on that fine line between jazz and blues where a millisecond’s delay adds just the right amount of swing to a number. The majority of the songs on Roller Coaster Boogie are covers, including traditional gems such as “Ain’t Nobody’s Business” (in which Brown subverts the song’s anachronistic references to domestic violence by assuming the role of the protagonist herself) and Big Maybelle’s “One Monkey Don’t Stop No Show” and “That’s A Pretty Good Love”. Shintaro contributes two tracks, “Afrodesia” and “The More You Hurt Me”, both of which more than hold their own with the classic covers. 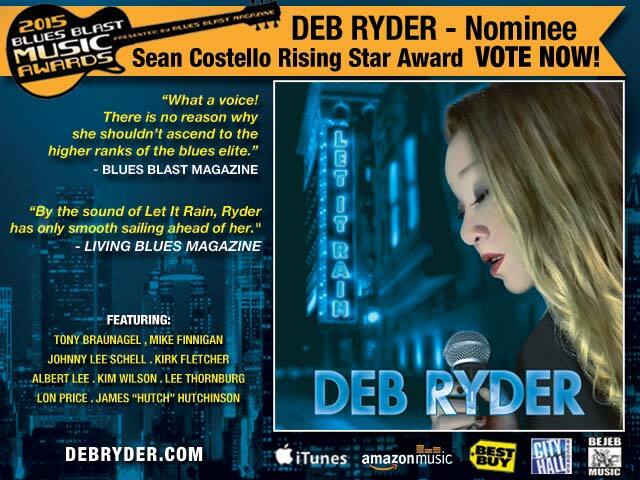 If you like your blues laced with a healthy dose of horn-driven, swinging jazz and R&B, or if you want to hear one of the great blues/R&B voices still at the top of its game, you need to check out Roller Coaster Boogie. Another 10 points to Dynaflow! 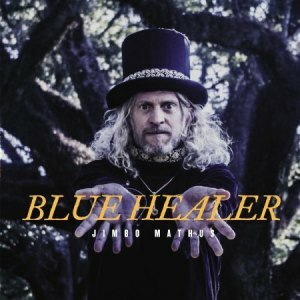 Jimbo Mathus has been around for some years, finding success with the Squirrel Nut Zippers and the South Memphis String Band and most recently working with the Dickinson brothers and Ian Siegal. 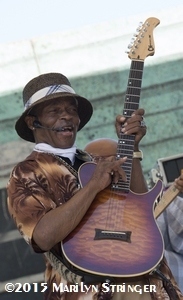 With the latter he toured Europe in an acoustic duo, playing a wide range of Americana but for blues fans he is probably best known for his work with Buddy Guy on “Sweet Tea”. The musicians are listed as Jimbo, Eric Carlton, Stu Cole, Bronson Tew, Kell Kellum, Eric Ambel, Barrett Martin, Gid Stuckley, Sunny Stuckley though the album does not show who plays what. The songs are all Jimbo’s, with co-writers on three cuts. The album claims to be a ‘concept album’ which explores “a man in a Southern landscape who is swept insanely apart by internal and external winds” (according to Jimbo himself). Jimbo’s slightly hoarse voice works well on a rocker like the opener “Shoot Out The Lights” with its pounding piano and slashing guitars, a little less so on the quieter tunes like “Mama Please” which deals with all manner of addictions in a classic country piece that might have suited Johnny Cash. The title track “Blue Healer” brings in a supernatural element with some strange images of the blue healer who comes “in a blinding light and lays her hands on me so I can dream again” but Jimbo gives the game away when he introduces the guitar by shouting “rock” as an intro! 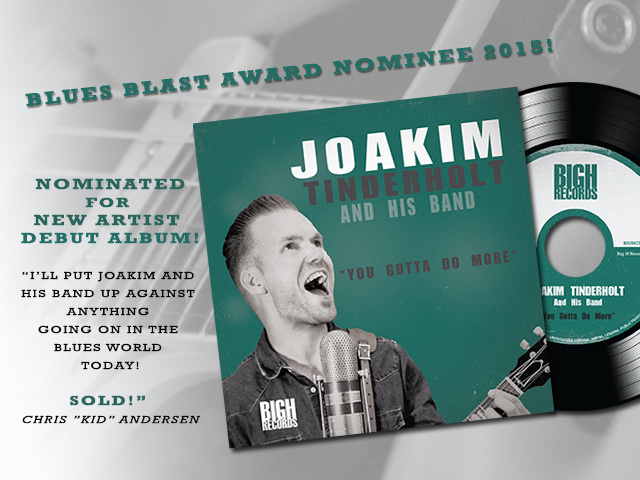 “Sometimes I Get Worried” is all weeping pedal steel and acoustic guitars as Jimbo carries on his search for peace of mind while “Ready To Run” is country rock with plenty of multi-layered guitars. “Thank You” is almost entirely acoustic guitar, a song written to express the character’s thanks to his girl for her love, with just a few low-key guitar additions. “Coyote” opens with some shimmering electric guitar and acoustic lead, a slow-paced, moody piece about travelling through trails and forests (and deserts?) with the title character nearby. “Bootheel Witch” is a rocker with female backing vocals which lyrically recalls T Rex with lines like “She’s a bootheel witch, I like the way she twitch, come on” and some manic piano playing towards the end. “Old Earl” is pure country, Jimbo affecting a deeper voice to describe the character who was such a recluse that when he died his body was not discovered for a year! The rock element returns on “Waiting On The Other Shoe To Fall” and whether it’s the lyrics about “woman hiding on the wrong side of town” or the guitar riffs but Springsteen comes to mind on this one, a short tune at just over two minutes. “Save It For The Highway” keeps things rocking with a catchy tune and plenty of guitars though whether the makers of Monopoly will be happy with lyrics like “go to jail, go directly to jail” is another matter! The album closes with the piano-led “Love And Affection” which starts gently but builds into a country rocker and acts lyrically as a closing point for the travelogue as our central character realizes that sanctuary may well lie in a loving relationship. 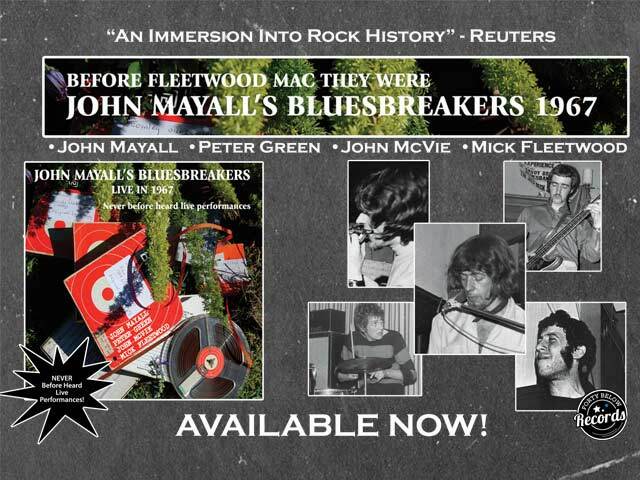 As readers will note, the word ‘blues’ has not appeared in this review and there really is no blues content here. Perhaps the easiest reference point for this album would be the Stones’ “Exile On Main Street” though Mick and the boys did do some blues on that album; Jim sticks to a mix of rock and country here. Not one for this reviewer but there are sure to be plenty of people who will dig Jimbo’s latest album. 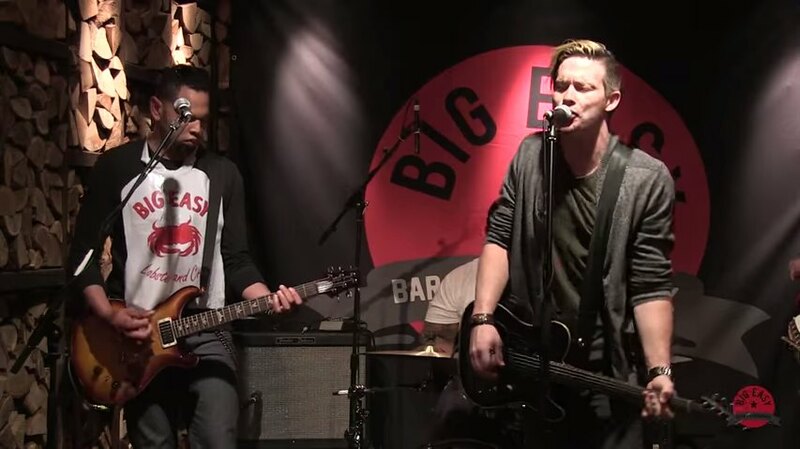 Here is a video of guitarist and singer Jonny Lang playing a whole set at the Big Easy Covent Garden. 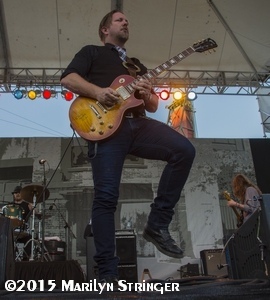 Jonny Lang is the headliner at the Illinois Blues Festival on Saturday, September 5th at 10:30pm. 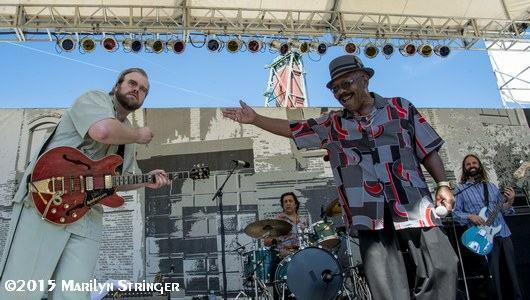 To see all of the great artists at this years Illinois Blues Festival, visit their website at www.illinoisbluesfestival.com. 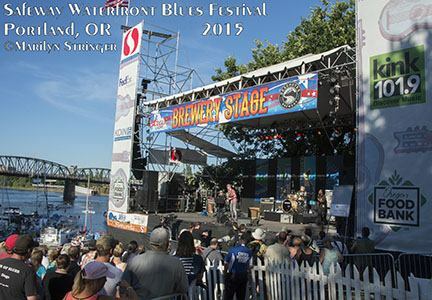 Safeway Waterfront Blues Festival is one of the largest and longest blues festivals west of the Mississippi. 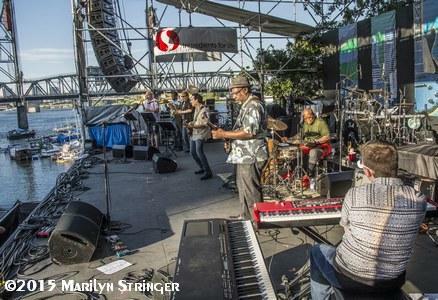 It is held in Portland, OR, over the 4th of July weekend for four days, four stages, evening jam sessions, and Delta Music Experience Cruises on the beautiful Willamette River throughout the weekend. The weather was unseasonably hot this year – well into the 90’s each day – which affected the attendance and made it more difficult to run from stage to stage in the heat. 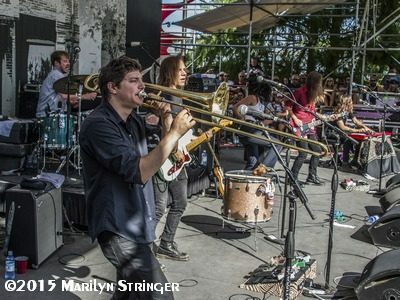 We were able to cover about half of the performances this year, and with that in mind, the coverage in this article is just a “taste” of all the great bands that we were able to cover. 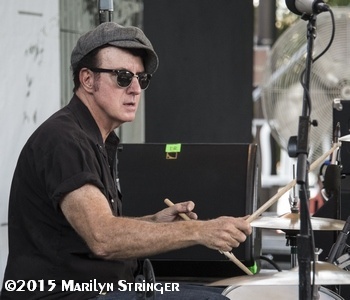 FT Stage: Suburban Slim with Jimi Bott (2015 BMA winner) on drums, Norman Sylvester with Pete Moss on Sax, Scott Pemberton, Sister Sparrow & The Dirty Birds, and Devon Allman closing out the day. 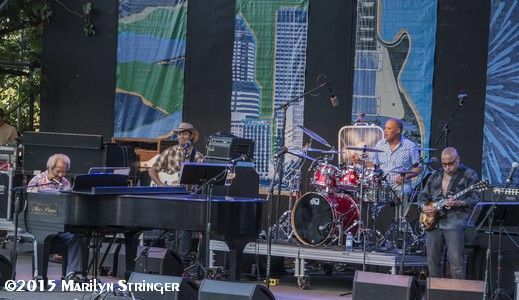 Brewery Stage: Laura Invancie Band With Reggie Houston, Harper & Midwest Kind , Ural Thomas & The Pain, Jaimoe’s Jasssz Band, and closing out the day was Gregg Allman, returning gladly to make up for his cancellation due to illness the year before. 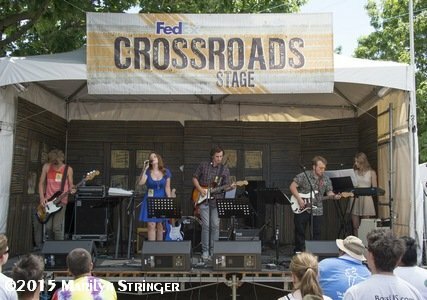 FRIDAY: Many of the bands on the FP & FX stage were smaller sets from bands that were either scheduled the day before or in the future, including Chubby Carrier and Jimmy “Duck” Holmes. What is great is there is an opportunity to see the bands you might have missed at a different time. The FT Stage was packed with great music. 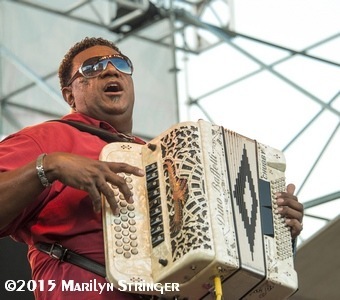 Starting out was Lil’ Buck Sinegal, who spent many years with Buckwheat Zydeco. 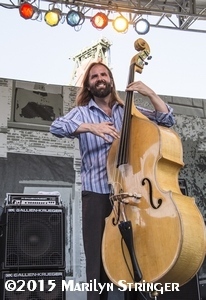 He was joined by Portland’s premier bass player John Mazzocco. 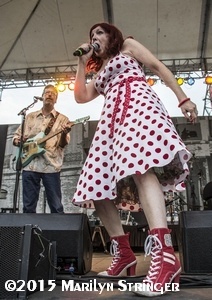 Portland’s Blues Diva, Rae Gordon, brought her full band out for a great set, followed by more Portland stars: Ben Rice, Lisa Mann (2014 BBMA winner Sean Costello Rising Award), Dave Melyan (drums), and Dave Fleschner (B3). First time performing at PWBF was up and coming Christone “Kingfish” Ingram. 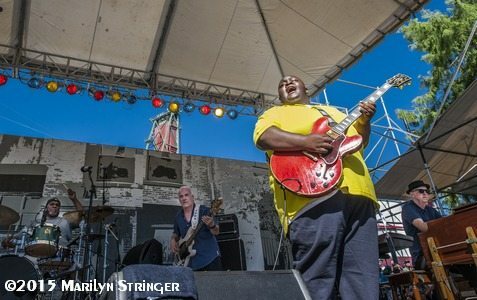 Kingfish is a 16 year old guitar and vocal phenomena from the south who has been impressing blues audiences everywhere he goes, and Portland was no exception. 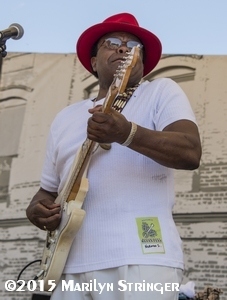 (Kingfish is nominated for the Seac Costello Rising Star Award in the 2015 Blues Blast Music Awards) He was backed by an all-star band: John Mazzocco (bass), Tony Coleman (long time BB King Drummer), and Jim Pugh (35 year Robert Cray keyboard player). It was an impressive set. 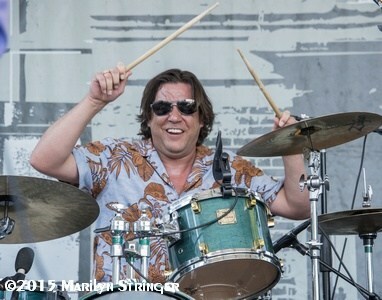 For his third set in two days, Chubby Carrier and his band hit the FT stage and had the crowd dancing. When he plays this stage he brings up dancers all over the stage and proves “There ain’t no party like a Chubby Party!” He is a big favorite at this festival. Brewery Stage: First up was Jelly Bread. 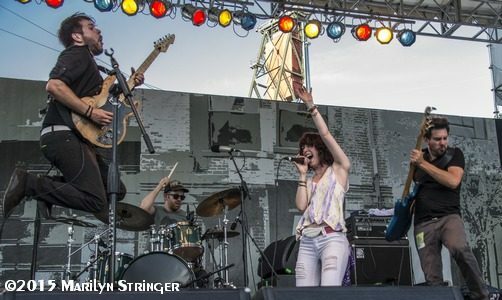 Hailing from Reno, the JB band is also impressing audiences with their solid blues performances. Although I only caught a part of their set in Portland, I got to see their entire show at Mammoth and I have to highly recommend this band!! 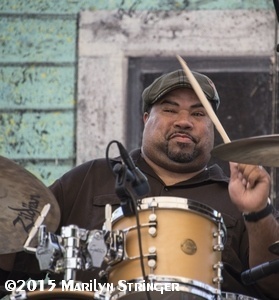 Following them was Reggie Houston & Crescent City Connection. 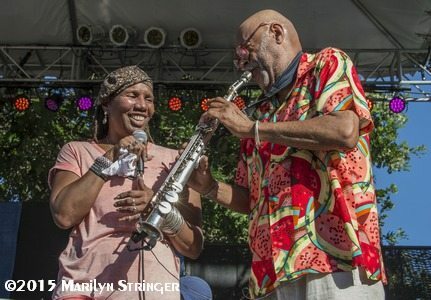 Sax player Reggie, vocalist LaRhonda Steele, and Peter Dammann (guitar and PWBF artist director) are all Portland long time icons and when they all get together, it is a testament to the quality of Portland’s blues community. 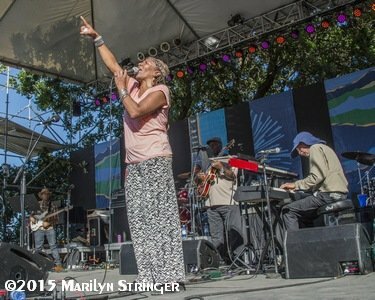 And following this set, Reggie joined Charmaine Neville for yet another great performance. 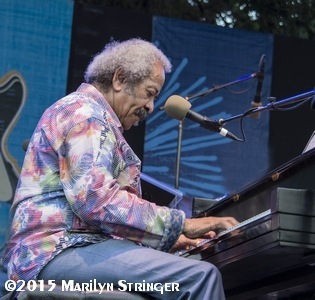 The final two headliner sets of the day were New Orlean’s Allen Toussaint and then Macy Gray. SATURDAY – JULY 4th: Saturday is the Journey to Memphis Competition. 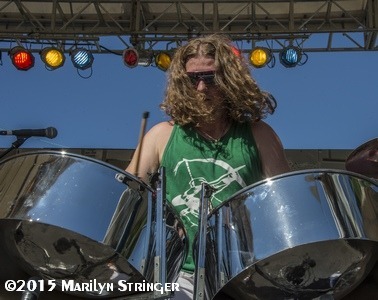 Shown is Steve Magnolia’s band competing. Later that day was the United By Music Performance and over at the FX state was Youth Music Project. 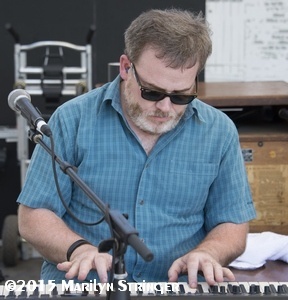 At the First Tech Stage the day started with a performance by Terry “Harmonica” Bean, followed by Kenny Lavitz & Judy Tint Jersey Soul, accompanied by Portland’s own Pat McDougall on keyboards. 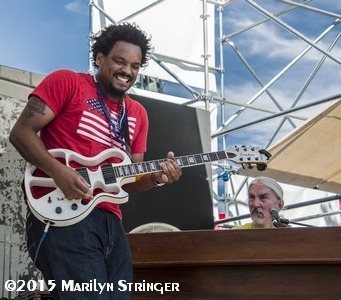 Another Mississippi up and coming blues star is Jarekus Singleton, who has been garnering huge crowds of new fans everywhere he goes. 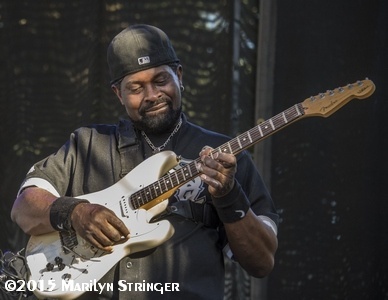 Just like Kingfish, he brings a big dose of southern blues infused with the new generation’s interpretation of the blues. 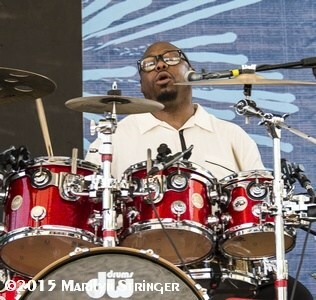 His band includes Ben Sterling on bass, John Blackmon on drums, and Sam Brady on B3. 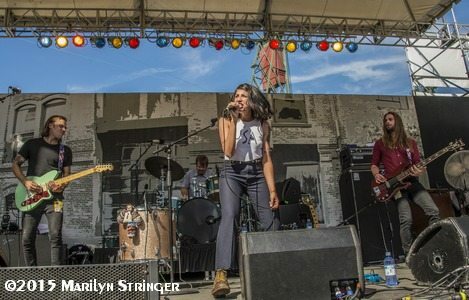 Hailing from Detroit, Jessica Hernandez & The Deltas, were one of the liveliest blues rock bands to hit the stage. Great show! 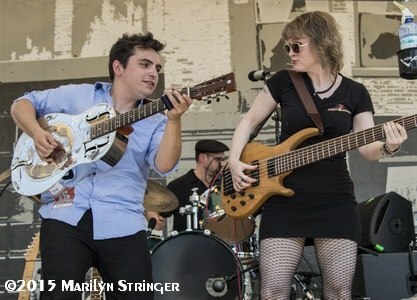 Texas Blues, with a big dose of Rockabilly, was represented with The Paladins. Dave Gonzalez, Thomas Yearsley, and Brian Fahey have been wowing the crowds for decades and Portland was no exception. It is always a thrill to see the three of them!! 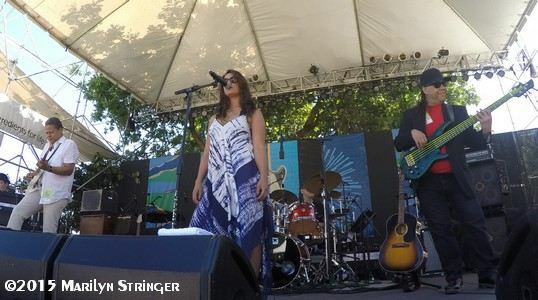 And finally, closing down this stage was Portland’s darling – Duffy Bishop – and her band. Entertainment and Talent!! 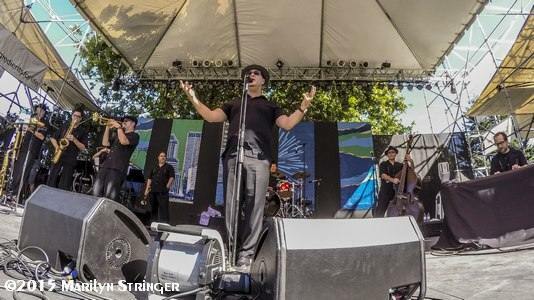 BREWERY STAGE: Three of the bands on the Brewery Stage were Pin & The Hornits, followed by San Francisco’s Con Brio – an extremely talented band and dance show by vocalist Ziek McCarter. 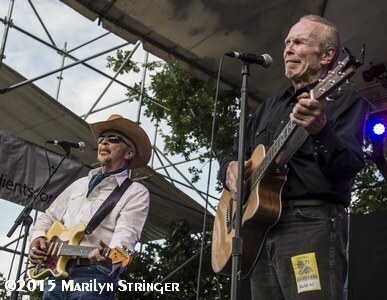 And the highlight on this stage was Dave & Phil Alvin with The Guilty Ones. The final show of the night (King Louis’ Blue Revue: Andy Stokes and Lisa Mann) preceded the fireworks display and although I could hear the show across the park, the heat was finally slowing down my trips back and forth, I enjoyed them from across the park. SUNDAY: I spent most of the day at the First Tech Stage enjoying the SF Bay area contingent that arrived. 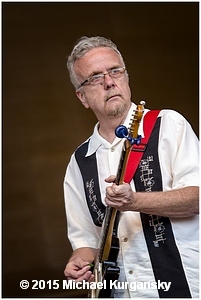 Jim Pugh has created a non-profit foundation – Little Village – that supports musicians in their on-going efforts to produce blues. 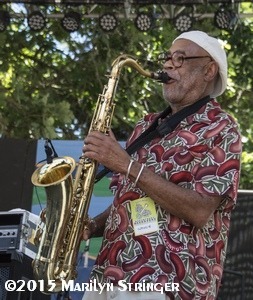 The three different sets in the middle of the afternoon included Ron Thompson backed by D’Mar (Derrick Martin-drums) and Jim Pugh on B3, followed by John Blues Boyd backed up by Aki Kumar (harmonica), D’Mar, Jim Pugh, and Lorenzo Ferrell and Kid Andersen from Rick Estrin’s band. 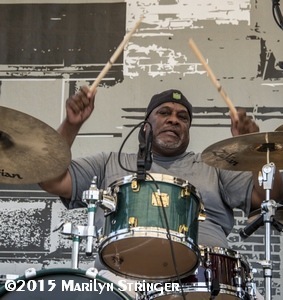 Jim, and Kid were joined by Estrin’s drummer, J Hanson, to back up long time soul & blues singer, Wee Willie Walker. 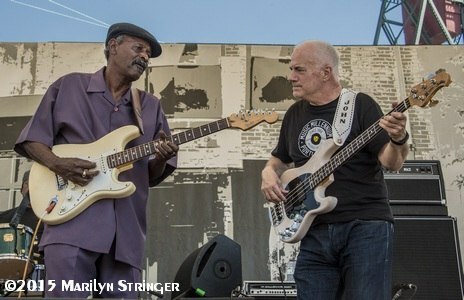 And, after flying all night from Europe, Portland’s own Curtis Salgado joined Wee Willie Walker for a duet. Two icons singing the soul blues was an honor for both of them, as well as the audience. 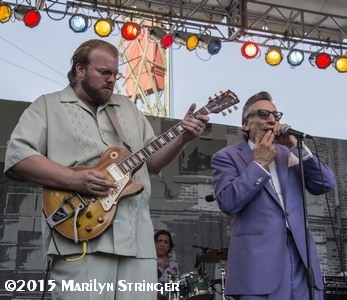 And after those three performances, Rick Estrin joined his band for their set. The Bay Area was well represented that afternoon! 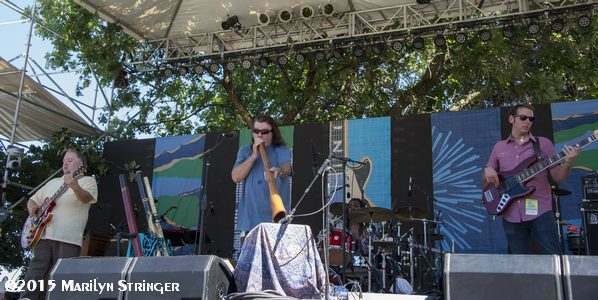 Two other acts on the FT stage that day were Israel’s Lazer Lloyd, who infused some of his native music into the blues, and a tribute set to Janice Scroggins and Linda Hornbuckle, two Portland beloved icons that passed away in the last year. 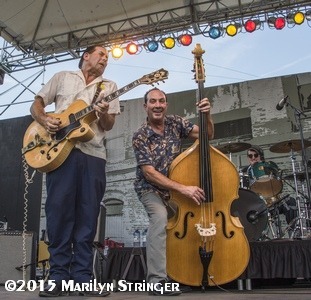 The final three acts on the Brewery Stage included Big Voodoo Daddy, Quinn Sullivan, and Buddy Guy. 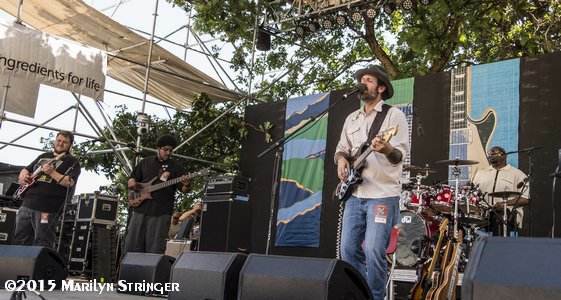 Portland’s Blues Festival is one of the most organized, family friendly festivals in the west. The talent is the best of both the regional and national acts available. Set on the banks of the Willamette River, the views and atmosphere can’t be beat anywhere. And, the festival’s purpose, to feed the hungry, makes this festival one of my top favorites! Set your calendars for next year (July 1-4: Friday-Monday), make your reservations, and plan to spend some time enjoying the beautiful Pacific Northwest while you are there! Thanks to all the volunteers, staff, and Oregon Food Bank for another wonderful festival. 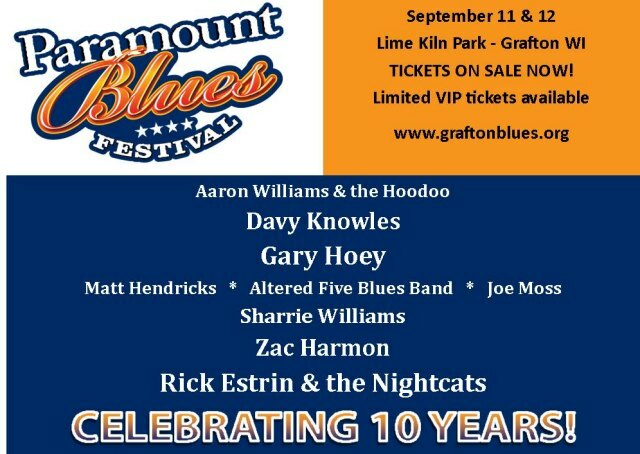 The full lineup is available at www.waterfrontbluesfest.com. Born along the banks of the Piave River in Venice, Italy, axe slinger Alberto Toffoli, aka Guitar Bo’, channels modern electric blues on this funky, fiery release that was influenced by his travels to the U.S.
As a youngster who taught himself how to play, he fell in love with the blues sound. His first exposure to the music came through his association with popular Italian session musician Roberto Ortolan, who turned him on to Stevie Ray Vaughan and B.B. King. Also influenced by the masters of Chicago blues as well as jazz greats Wes Montgomery, Kenny Burrell and Grant Green, he developed his chops at the Lizard School Of Modern And Contemporary Music in Florence before going off on his own. 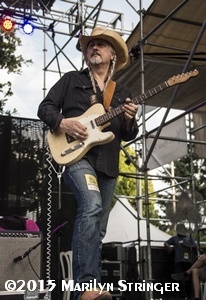 Guitar Bo’ spent time in Austin, Texas, before beginning his recording career in 2001 with the release of the self-produced Live In Darshan, using a power trio format. 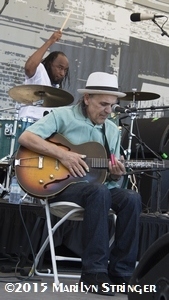 He was a finalist in a national Italian acoustic guitar competition a couple of years later, during which he released a second disc, Movin’ Up, and began touring internationally with native American singer-songwriter Yowan Nagwetch. 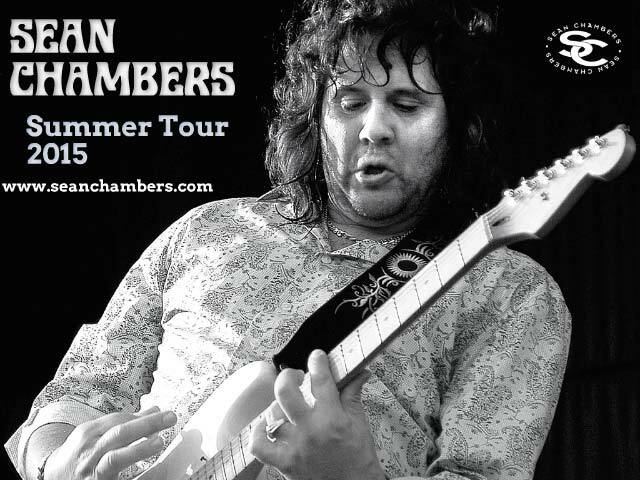 He’s also worked regularly with two of the most popular blues artists in Italy, guitarist Enrico Crivellaro and harp player Marco Pandolfi. 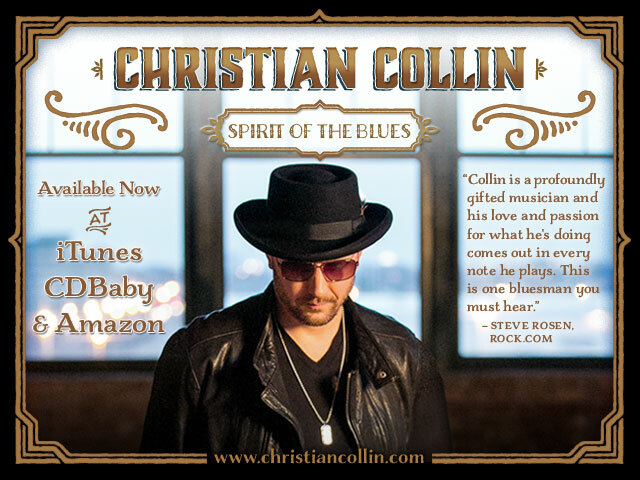 Bo’ spent several months in Chicago in 2013, seeking inspiration for this CD, which blends modern electric blues with blues-rock, smooth jazz and roots, a styling he picked up during a stay in Austin, Texas, at the start of the century. Recorded back home in Italy, he’s joined here by a rhythm section of Andrea Fruzzetti (bass) and Carmine Bloisi (drums) with Michele Bonivento on Hammond organ and a stellar horn section of Mirko Cisilino (trumpet), Filippo Orefice (tenor sax) and Max Ravanello (slide trombone). Pandolfi makes a guest appearance on harmonica on three cuts. Available through iTunes and Google Play, Heavy Love kicks off with a trio of Toffoli originals. The uptempo “Movin’ Up” streaks out of the starting gate, quickly setting the mood for what follows. 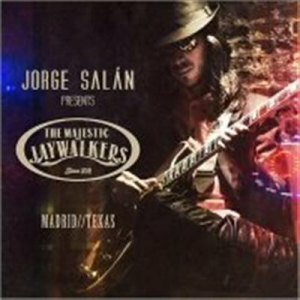 The tune intersperses horns, vocals and guitar as it delivers a message of joy about dancing and playing despite the pitfalls of life. Guitar Bo’ rips and runs cleanly along the fretboard as he delivers his message in a thoroughly modern manner. The theme continues at a slower, bluesy pace for “Something In Life,” this time delivering a message that things will get better no matter how down you seem. It features a sweet single-note guitar solo that begins mid-song and runs to the stop-time end. The mood slows for the straight-ahead blues, “Don’t Talk Just Do It,” a six-minute 54-second burner that speaks to fighting through difficulties rather than given in. Once again, Toffoli’s emotional fret work dazzles despite the simplicity of his runs. An uptempo, gospel-flavored cover of the B.B. King song “Going Home” leads into a block of five more originals. The hard-driving blues-rocker “Red In Blues” features Bonivento on the 88s before the cover tune, “Heavy Love,” a syncopated slow shuffle, strongly suggests keeping focused on what’s ahead and forgetting the good or bad you’ve left behind. The instrumental “Joker Girl” follows. It’s a modern jazz flight of fancy on six strings, with Guitar Bo’ effortlessly modulating a simple lead line to a successful conclusion, aided by swinging trumpet and keyboard solos. 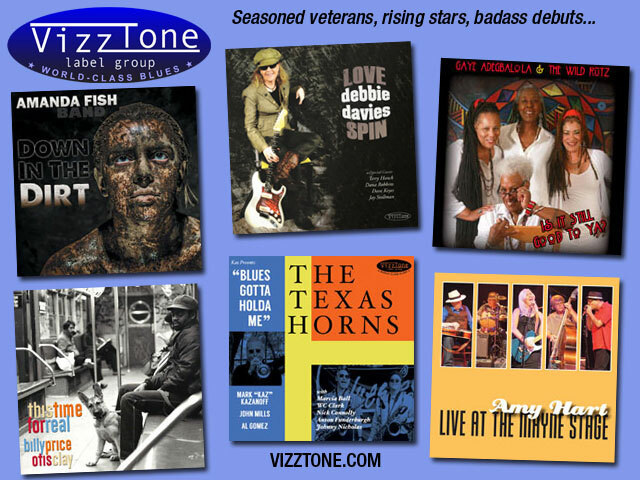 It’s full-force Memphis-style blues for “Tax Free Zone,” about the need for an international free-trade zone, before a Pandolfi harp solo introduces “Stay Awhile For Me,” which is delivered with a Delta feel. 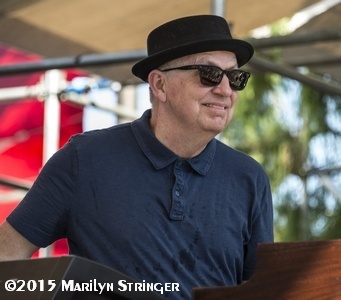 Covers of jazz pianist Big John Patton’s instrumental “Funky Mama” and the Bessie Smith standard “Nobody Knows You When You’re Down And Out” precede the original “Blues Beans For Bingo” to wrap up the set. 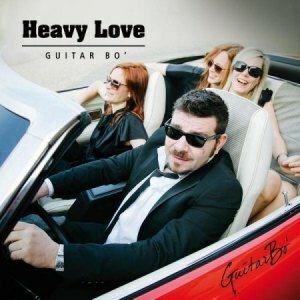 While Guitar Bo’s Italian-accented English still is a work in progress, the musicianship and positive messages delivered here clearly make Heavy Love a winner. 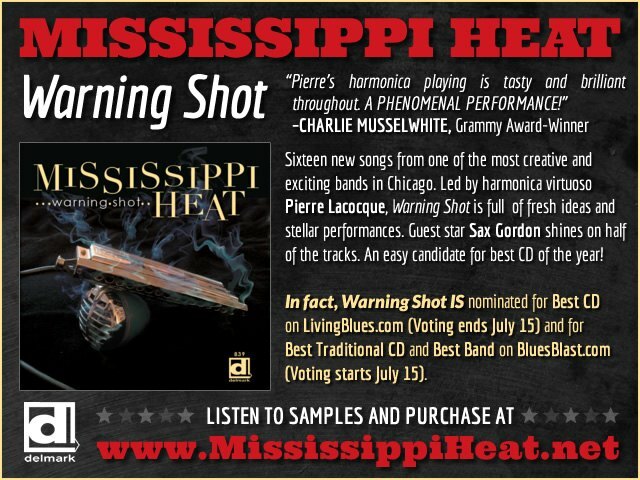 The blues truly have evolved from the Mississippi Delta to a world language, and this disc is strong proof that the seeds the first generation of blues stars planted in Europe in the ‘60s have borne tasty fruit. Not your mama’s old one-four-five, but definitely worth a listen. According to the online version of Merriam-Webster’s dictionary, the word “esoteric” means “only taught to or understood by members of a special group,” “hard to understand,” and/or “limited to a small number of people”. It’s commonly used when referring to political jargon or legal documents. On the other hand, its opposite, “exoteric”, is almost never used in modern conversation. As one might expect, it means “suitable to be imparted to the public”, and/or “belonging to the outer or less initiate circle”. What do these two definitions have to do with blues music? Mainly this: Its popularity is due to its esoteric nature – its suitability for everyone. One need not have studied the guitar to appreciate Muddy Waters’ riffs, or be a poetic genius to sing with a lusty Wolf as he’s “Howlin’ for my Darlin’.” On some level, all of us have had the blues: trouble with money, trouble with love, or trouble of the soul. Now, here’s a case study. Denmark’s Fried Okra Band may sound like the perfect exoteric blues band, at least on paper. They’ve even named themselves after a Southern dish that’s considered the ultimate country comfort food. 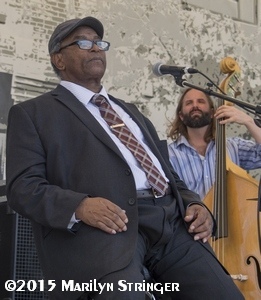 One would expect their music to be blues “comfort food,” just the same. It should be tasty to the ears, yet go down easy, preferably with a few catchy choruses to remind listeners of the musical feast they just enjoyed. Instead, what fans will get if they dive Back Into the River is an arcane mixture of electric hard rock, strange lyrics, obscure rhythms, and the vaguest suggestion of traditional blues. Consider the first track below. 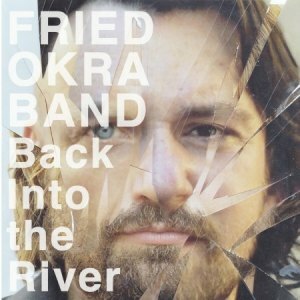 The Fried Okra Band consists of Morten Lunn on vocals, guitar and one-string diddley bow; Thomas Crawfurd on drums, percussion, mandola, mandolin and background vocals; and Thomas Foldberg on guitar. Track 01: “Flatland Groove” – The opening guitar intro possesses an effect that makes it sound “strung out”, as if Morten Lunn’s shredder had ingested too much caffeine and cigarettes. “The call of the continent always got me down,” he says. “Mountains were freezing – these lakes would be drowned.” These lyrics would be great at a poetry slam, but not in a beer hall. 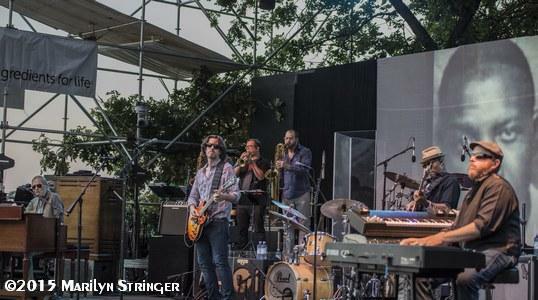 Back Into the River may be esoteric blues, but they will float some fans’ boats! 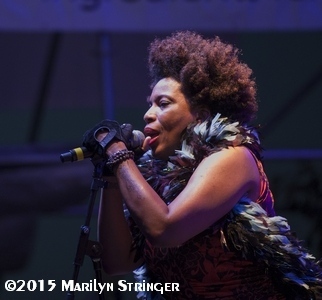 The free 27th Annual DC Blues Festival is Saturday, September 5, 2015 from noon-7:30 pm, featuring Sharrie Williams, “Princess of Rockin’ Gospel Blues”. 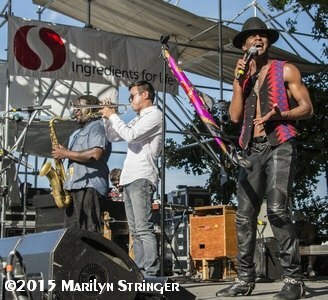 Festival venue: Carter Barron Amphitheatre, 16th Street and Colorado Avenue NW, Washington DC 20011. 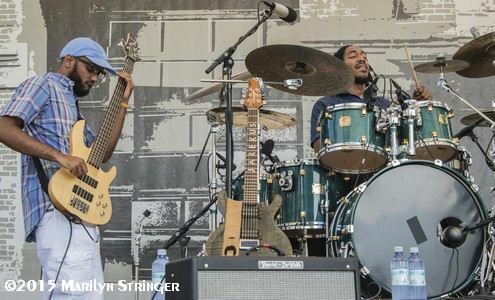 Bring the family for a day of soulful and electrifying blues, music workshops, Musical Instrument Petting Zoo and other child-friendly activities. No tickets required. 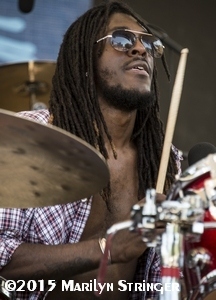 The festival offers an exciting lineup of diverse blues. 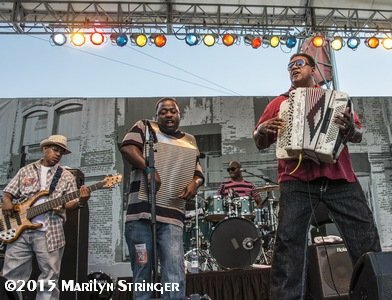 Sharrie Williams is a three-time Blues Music Awards Nominee and international performer, trained in jazz, gospel and drama. Although she credits Koko Taylor, Etta James and Aretha Franklin as influences, her style is all her own and she’s earned a reputation for outstanding vocal performances. 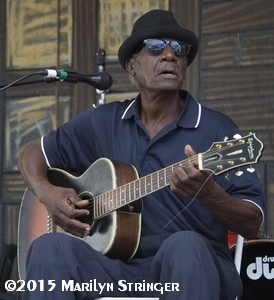 Also appearing is guitarist, singer and songwriter James Armstrong, “The Ambassador of the Blues”. The son of musicians, James was born to play the blues and his style honors traditional blues while adding contemporary grit. Rounding out the lineup are several DCBS favorite bands. 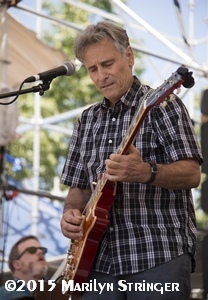 Crossroads Blues Society and the Byron Park District have scheduled FREE Sunday Blues in the Park shows in Blackhawk Meadows Park in Byron from 3 to 6 PM. August 23rd – Bobby Messano. 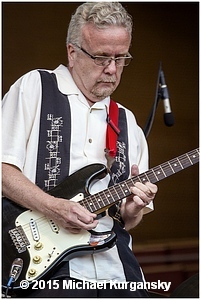 The Illinois Central Blues Club has announced the line-up of talent for the Blue Monday live performances and jam sessions held every Monday night at The Alamo, 115 North Fifth, Springfield, IL from 8:00pm to midnight. 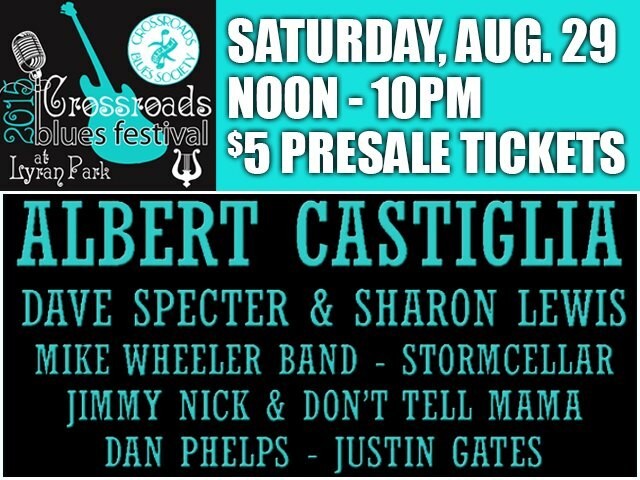 August 24 – Albert Castiglia, August 31 – Maurice John Vaughn.